As an electrical engineering student, normally I am not interested in digging up the background story of a company, nor do I really want to spend time on it. However, as an APH Networks reviewer, I should at least be knowledgeable about the history of some well-known companies that make great products. Knowing some history is helpful in terms of reviewing a product. For example, we all know Microsoft is a company famous for its Windows family. As a software company, Microsoft has been developing operating systems for personal computers for decades. As the company began to realize how important the embedded system is, Microsoft started to make operating systems for mobile devices. At first, the operating systems for such devices were rather different, therefore the people who knew Windows 98 for personal computers did not necessarily know Windows CE. Knowing this fact can help us to understand Microsoft’s latest product Windows 10 a little bit more. Windows 10 can be installed on different platforms such as computers, phones, tablets, and even Arduinos. It is really revolutionary to have such cross-platform capability, since there has never been a time an operating system from Microsoft could be so widely used. 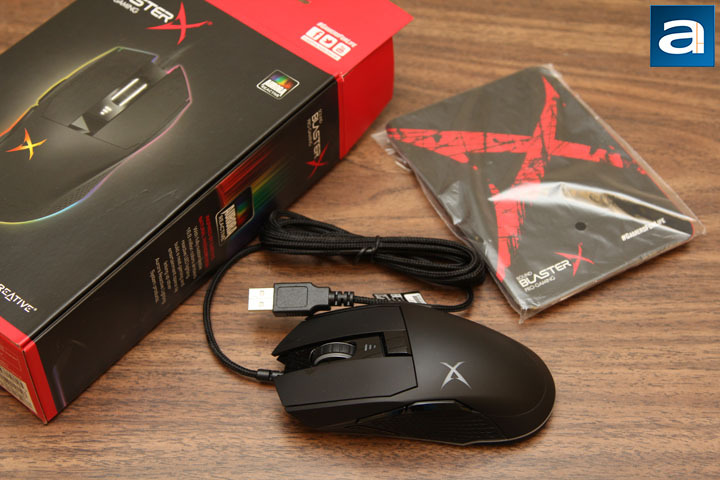 Today’s review unit, the Creative Sound BlasterX Siege M04 gaming mouse, comes from a company with little history of gaming peripherals. 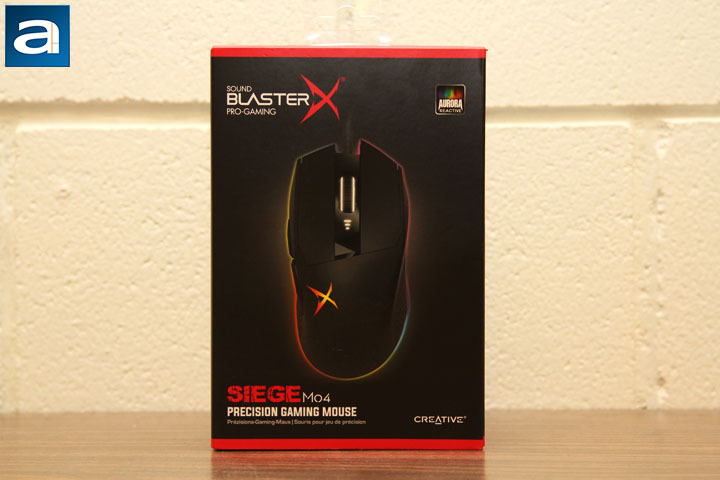 Is the Sound BlasterX Siege M04 a good starting point for the company Creative? Read on to find out! 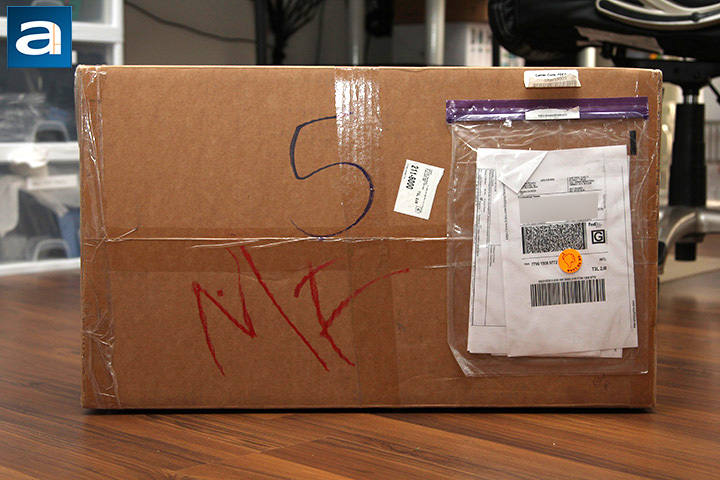 The Sound BlasterX Siege M04 was sent from Milpitas, California via FedEx International Ground service to us here in Calgary, Alberta, Canada. As you can see from the picture, the parcel is a little bit big for just a mouse, because the Creative Sound BlasterX Vanguard K08 keyboard was in the box as well. As you can see, the cardboard arrived in pretty good shape, and there were very few dents on the surface. After peeling the shipping package off, we can see the retail packaging of the Sound BlasterX Siege M04. The background color is in accordance with Creative website’s theme color -- black. In the middle of the cover lies an image of the mouse. The black background ensures the major selling point of the Sound BlasterX Siege M04, the Aurora reactive RGB effect, is effectively showcased. On top of the black background, there is a section, where the company name and logo is printed. It is interesting to see that the "X" of "BlasterX" is written in a very gaming-esque font. The product's name, "Siege M04" is printed at the bottom left of the box. Right below that the "Precision Gaming Mouse" is emphasized. While the company's name is located in the bottom right of the box. The overall design of the package is low key, since the product's features are not listed on the front cover. After opening the retail box from the top, the user can pull the black cardboard container out. The Sound BlasterX Siege M04 is held inside of the container. There is not a lot of stuff in the box; just a mouse in a plastic plate, a bag of cards, and a user's manual. The cards indicate some warranty information of the mouse. Unsurprisingly, the driver disc is not provided, since it is 2017, after all. posted 10 hours and 33 minutes ago, with 11 posts. posted 12 hours and 48 minutes ago, with 8 posts. posted 21 hours and 24 minutes ago, with 2 posts.